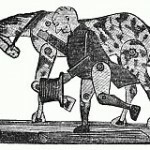 A collection of pictures of vintage children’s toys. These great images of toys include both black and white and colorful illustrations by some of the best illustrators in the world. They are all in the public domain and may be used to embellish your scrapbook pages, add some vintage charm to your mixed media projects or add some interest to your next creative project. 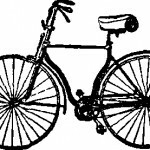 Small vintage drawing of a penny-farthing or high wheel bicycle. Vintage advertising image for a bicycle. 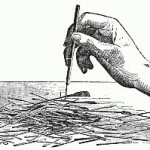 Public domain drawing of a small toy top. Vintage black and white drawing of a tiny doll. 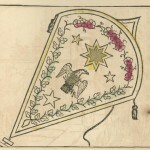 Vintage drawing of a quiver with arrows and a bow. Advertising image for a toy cannon and a set of nine pins. Black and white toy train image. 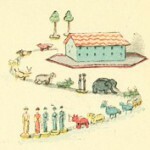 Vintage drawing of a child’s toys lined up as if on parade. Drawing of the vintage toy called Crandall’s Acrobats. Drawing of the vintage toy called Crandall’s John Gilpin. Advertising image for a set of American Jack Straws. Public domain kite drawing with a bit of colorization.